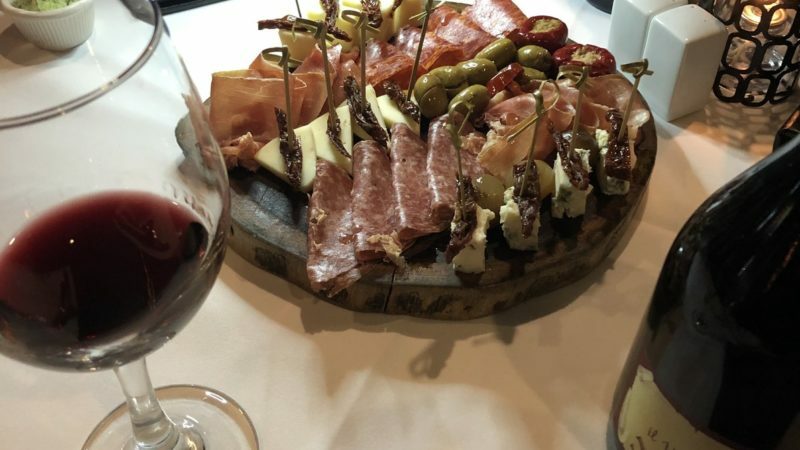 Tomaso's When in Rome provides an exquisite Italian night, right here in North Scottsdale. 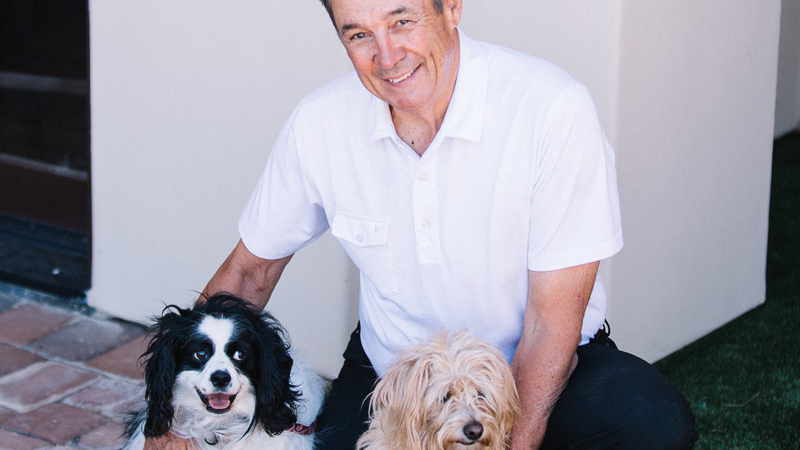 Chef Tomaso Maggiore has been a staple in the Phoenix dining scene for more than 40 years, and his talent shines through. The exclusive wine list, fresh-made pasta and delectable desserts make you feel like you're truly sitting in Italy. 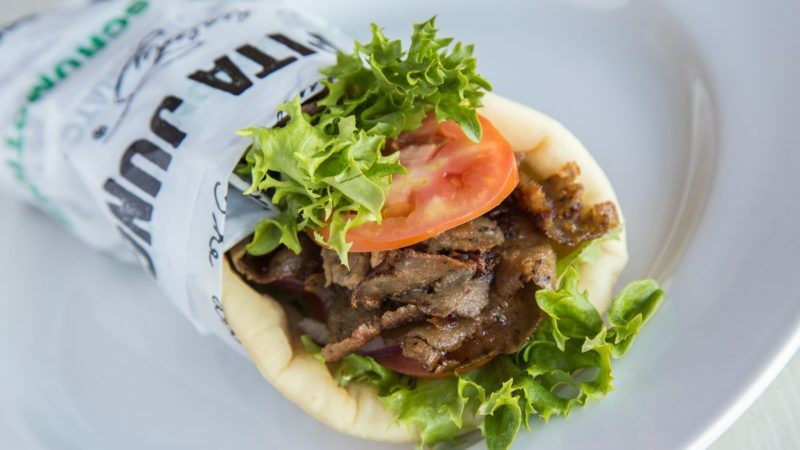 Pita Jungle was founded by ASU students Bassel Osmani, Nelly Kohsok and Fouad Khodr. They saw a need for more healthy restaurants around campus and set out to make a difference. 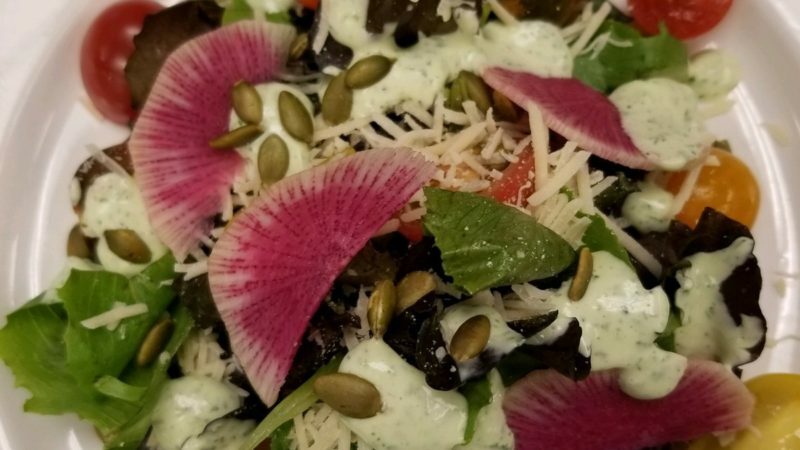 For its 25th anniversary, Pita Jungle is celebrating the milestone with several unique promotions and specials throughout the year including a throwback menu. Ruti Zisser, an Israeli-American fashion designer, founded RUTI in 2009 to change a woman's relationship with her closet. Ruti's rules for design are: it must be cool, flattering and practical. 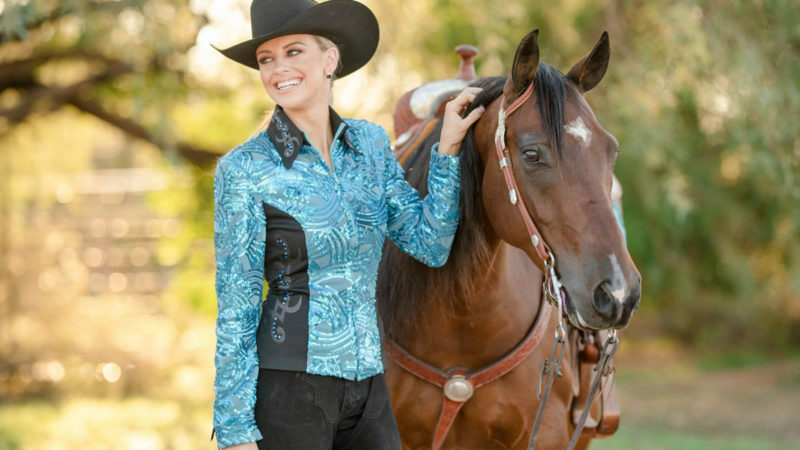 Ruti has finally come to Scottsdale after many of her clients from the area convinced her that true “Ruti women” live right here in North Scottsdale. 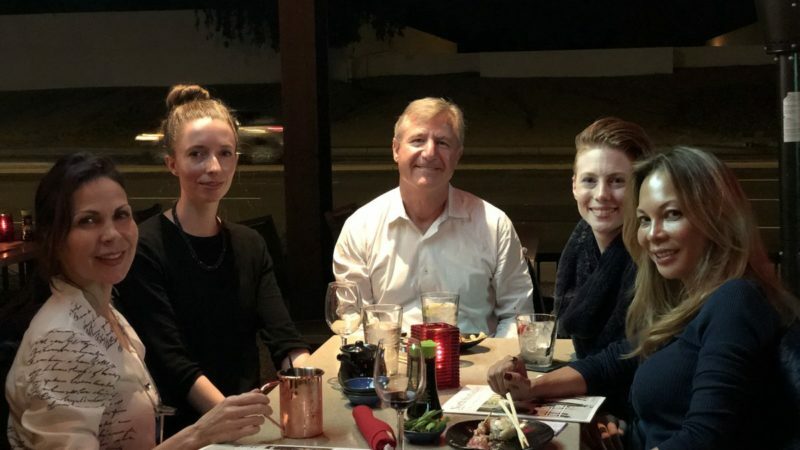 North Scottsdale Lifestyle magazine hosted a networking event in December at Ra Sushi in North Scottsdale. Partners of the publication and other influential members of the community joined us for cocktails and appetizers. A lot of great connections were made among local business owners. 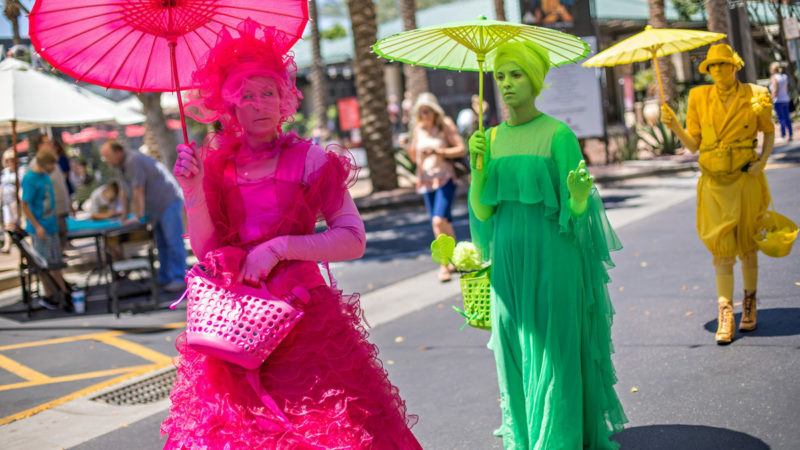 The Arizona Fine Art Expo began on Jan. 11 and runs through March 24 at 26540 N. Scottsdale Road. 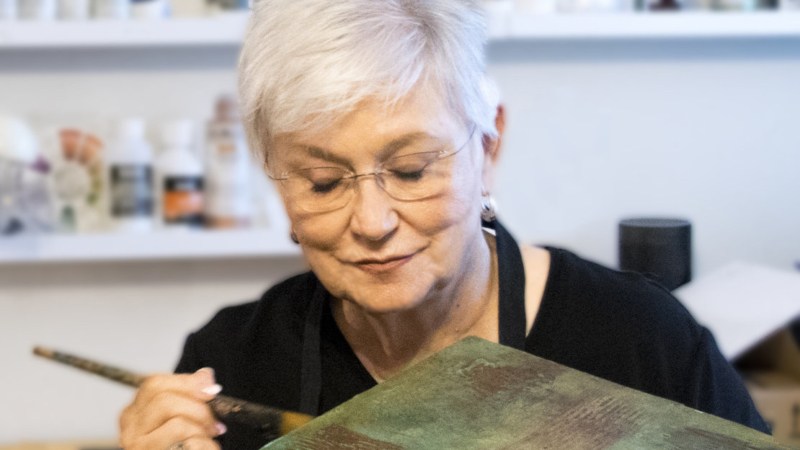 The event features 124 patron-friendly artist studios where guests have a rare chance to meet the artists; see them in action; and learn about their passion, inspiration and techniques. For more details, visit ArizonaFineArtEXPO.com. Saturday, April 28, was a huge win in the fight against childhood cancer as hundreds of Valley philanthropists came together for the second St. Jude Presents: A Night in Monte Carlo held at Scottsdale Hangar One. 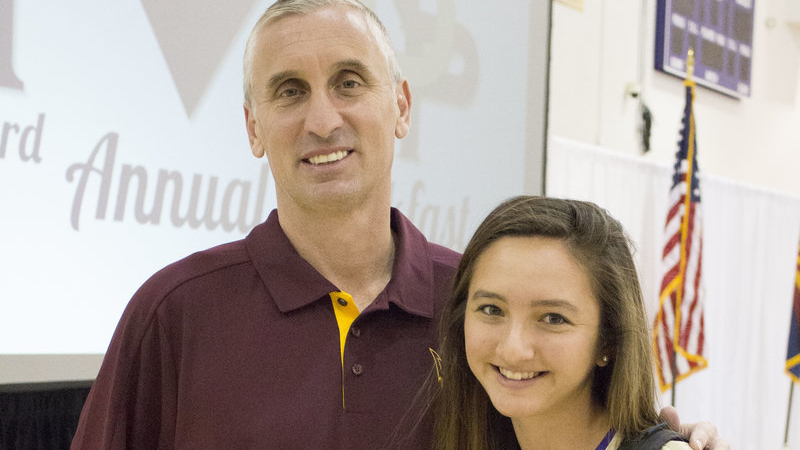 Supporters across Arizona raised more than $163,000 for St. Jude Children’s Research Hospital. 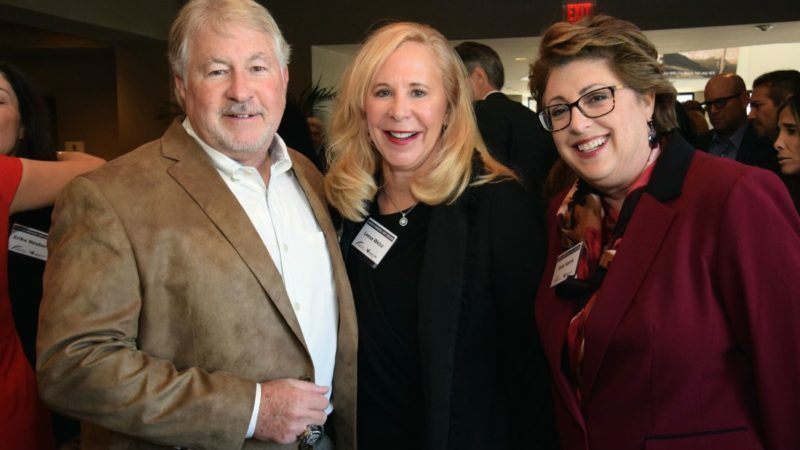 In their first-ever combined fundraising luncheon, Jewish Family & Children’s Service (JFCS) and Sojourner Center, an affiliate subsidiary of JFCS, raised $400,000 at its Brighter Tomorrow Hope Luncheon, held Friday, March 2, at the Arizona Biltmore. The luncheon was attended by more than 500 people, and focused specifically on domestic violence awareness. Ruby Farias is a long-time artist who turned to painting on clothing and accessories in January 2014. Her latest project includes having her paintings photographed and having those images printed on fabrics. She has taken that fabric and has created her new line. Photography by Marion Rhoades Photography. 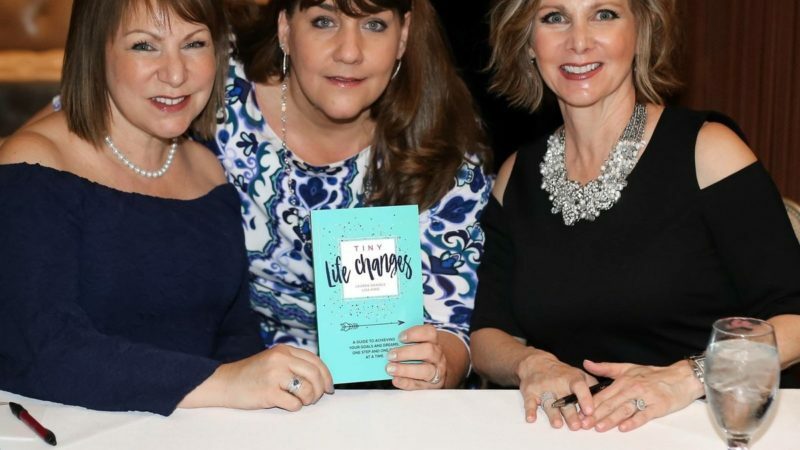 The Camby was the location for the global book launch and signing of Tiny Life Changes by local author-sisters Lauren Daniels and Lisa King on January 9. Tiny Life Changes is about transformation through changing your life from the inside out, one step at a time. Photography by Colleen Katz Pictures in Pixels. 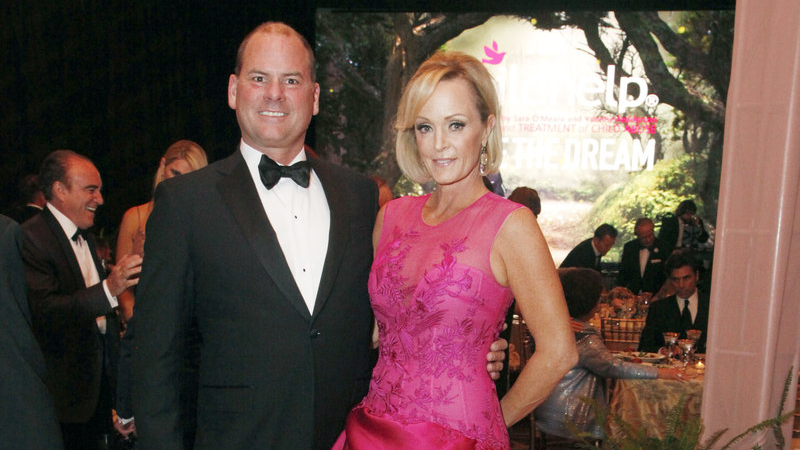 Childhelp, a Phoenix-based nonprofit dedicated to the prevention and treatment of child abuse, celebrated its 14th Annual Childhelp Drive the Dream Gala at the Arizona Biltmore Resort. Grimaldi’s Pizzeria presented the sold-out extravaganza that netted more than $1.4 million for Childhelp programs and services, including the Childhelp Children’s Advocacy Center of Arizona dedicated to Linda Pope. 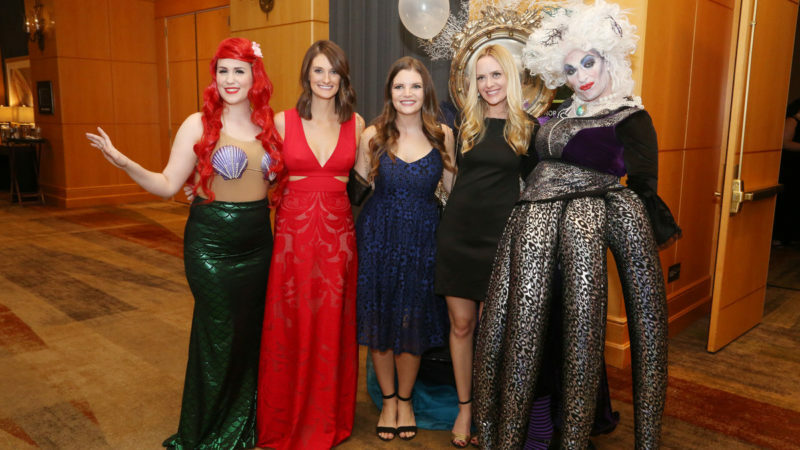 Ronald McDonald House Charities hosted the McNight to Remember Under the Sea Gala on November 11 at the J.W. Marriott Desert Ridge Resort. It was a record-breaking night: 667 attendees raised $563,350 to ensure families staying at the Valley's three houses will not be turned away. Both numbers broke previous highs. 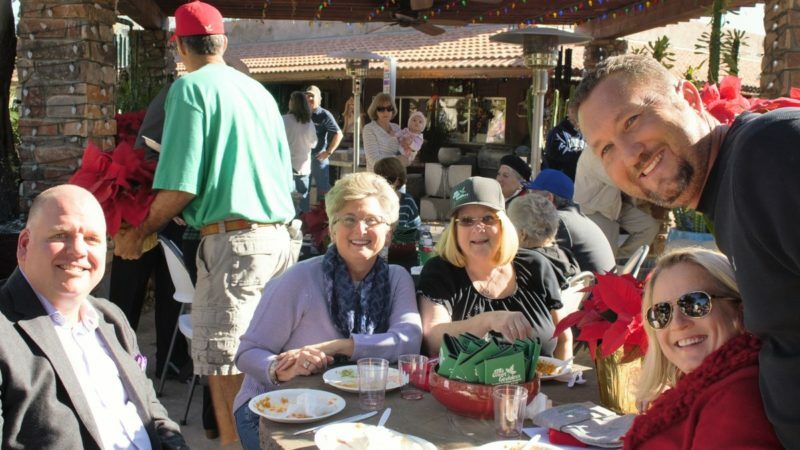 Photography by Gudenschwager Photography Inc.
Several hundred people came to Green Goddess' Annual Holiday Open House and enjoyed the beautiful Arizona weather and food from Manuel Mexican Cantina. Gelato Spot stopped by and dished out their yummy gelato. The seventh annual fundraising raffle raised more than $2,400 for the McKenzie Monks Foundation. 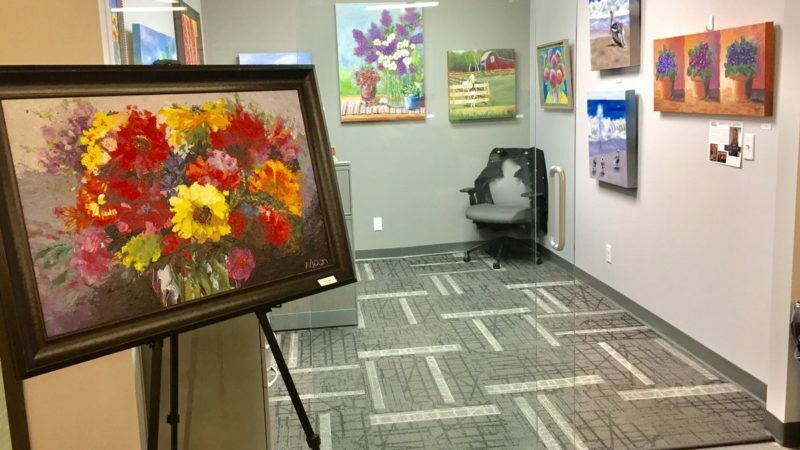 Cork & Canvas Art Show is a quarterly event held at the 8th Avenue South office of Berkshire Hathaway HomeServices Woodmont Realty. A reception featuring wine and snacks allows the artists, friends and family, real estate professionals, colleagues and clients a chance to view the art. All artwork is available for purchase. On November 1, more than 400 guests gathered at Notre Dame Preparatory to celebrate all things delish at the annual Culinary Festival. This magical evening took place under stars and party lights and featured signature dishes from 17 local restaurants, beer from Scottsdale Beer Company and music by Elvis Before Noon. Photography by Casey Green Studios. Arizona Science Center recently celebrated their Galaxy Gala committee kickoff with a reception at the beautiful home of Ben Lytle. The evening was hosted by chairs Tracey and Larry Lytle and vice chairs Susie Wesley and McKenna Wesley. “A Night in Pompeii” will be held Saturday, February 3. Photography by Eric Cosh. 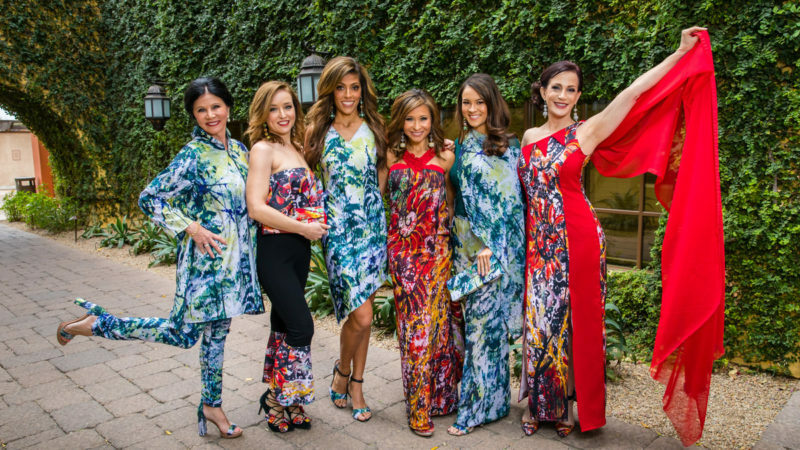 Breast cancer survivors and local celebs took the runway, during October's Phoenix Fashion Week, to model more than $1 million in Tal Barkel Designs jewelry and fashions by Glam Squad Couture. Community and fashion came together to raise more than $15,000 for breast cancer charity Don’t be a Chump! Check for a Lump! Photography by James Almanza, Almanza Photography. On October 29, nearly 20,000 people gathered at Tempe Beach Park in support of the 12th annual Autism Speaks Walk in Partnership with SARRC. The event raised an estimated $885,000 for autism programs and research. Half of all money raised will stay in Arizona. Photography by Sydnee Schwartz and Kat McMahon. The 15th Annual Heroes Patriotic Luncheon, hosted by the Veterans Medical Leadership Council and presented by TriWest Healthcare Alliance, featured a keynote speech by retired Command Chief Master Sgt. Scott H. Dearduff and brought more than 500 individuals together at the Arizona Biltmore to pay tribute to our nation’s veterans and to thank current service members. Childhelp, dedicated to the treatment and prevention of child abuse and neglect, recently hosted the 2017 Childhelp Drive the Dream Kickoff at a private automobile museum. Drive the Dream, sponsored by Grimaldi’s Pizzeria, will take place Saturday, January 13 at the Arizona Biltmore. 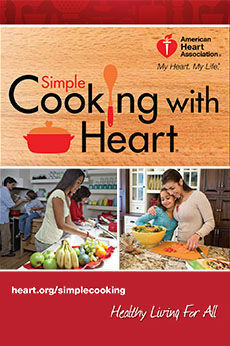 Proceeds will benefit Childhelp programs in Arizona. Scottsdale Fashion Square hosted An Evening of Luxury, an exclusive reception and shopping event on Friday, September 29. A percentage of the evening’s sales benefited Colleen’s Dream Foundation and TGen to fund ongoing ovarian cancer research. V.I.P. Mortgage celebrated their new Scottsdale corporate offices by hosting an open house September 27. Attendees were treated to live music, refreshments and hors d'oeuvres. Larry Fitzgerald and the Grand Illusion took center stage at Dominick’s Steakhouse on Monday, August 28, for the Ninth Annual Fitz’s Supper Club - Celebrities at Your Service. Raising more than $550,000 for the First Down Fund, guests enjoyed an evening filled with trickery, wonderment and excitement all night long. 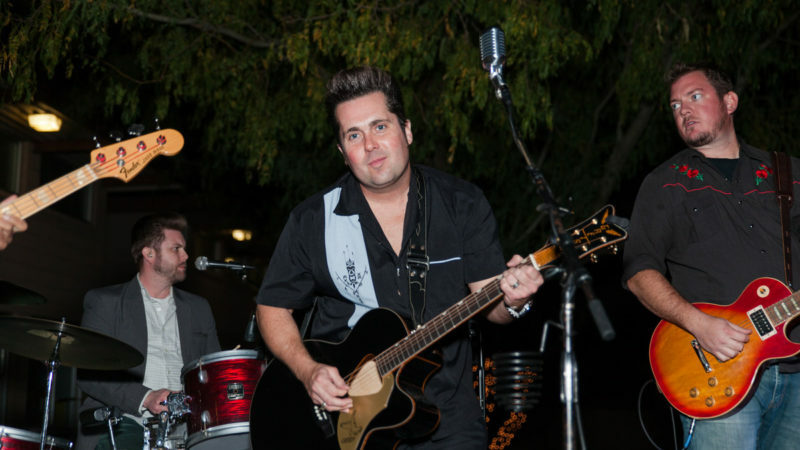 The Seventh Annual HopeKids Boots and Bling gala took place at the home of Mark and Bev Nuessle in Scottsdale. Thanks to the generosity of 190 attendees, $86,260 was raised to provide hope and an ongoing calendar of events to more than 1,400 Arizona families who have a child with a life-threatening medical condition. V.I.P. Mortgage's The Miksta Team graciously hosted Lifestyle Publications' partners and friends at their new location. The guests enjoyed a variety of delectables from Emily's Events as they mingled and connected in the spacious community room. Visit them at TheMikstaTeam.VIPMtgInc.com. Cookie Cutters Haircuts for Kids recently participated in the Special Night of Play at the Children's Museum of Phoenix and the Special Needs Resource Fair presented by RAK. New to the Scottsdale area, they offer kids a fun, stress-free haircut experience and are known for working with kids with special needs. Allstate agency owner Frank Schubert shows his appreciation for customers every year by hosting a movie night at Harkins Theatre. This summer, he hosted his 10th appreciation event with a viewing of "Despicable Me" at the Harkins Theatre on Bell Road. 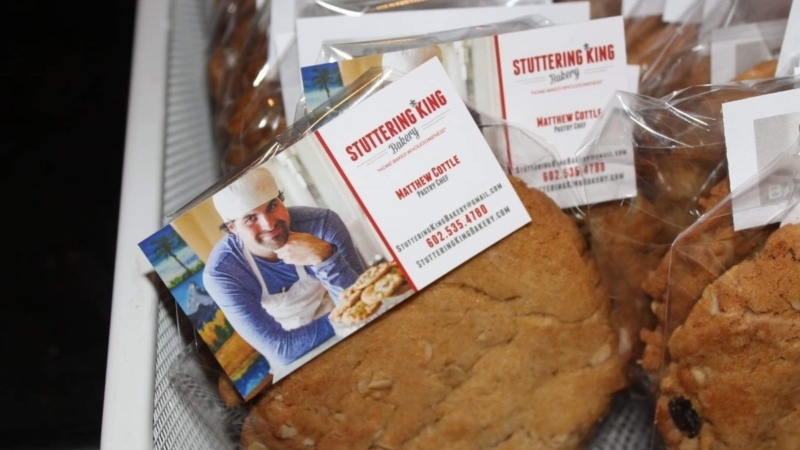 Treats were provided by Stuttering King Bakery. Photos by Kat McMahon. The fifth annual Backpack & School Supply Drive donation drop-off event was held July 15 at Office Max on East Thomas Road and helped fill 5,000 backpacks. The backpack drive is sponsored by Executive Council Charities benefitting Arizona Friends of Foster Children Found, Arizona Helping Hands Inc. and Voices for CASA children. 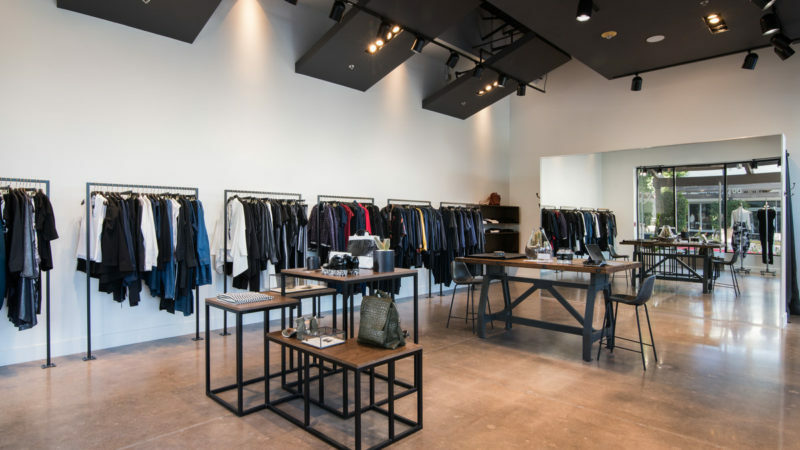 Members of the media and blogging community attended a behind-the-scenes “soft hat” media tour of Scottsdale Fashion Square on Thursday, July 27, where they received an up-close look at how the best address keeps getting better. For more information about Scottsdale Fashion Square's renovation, visit FashionSquare.com/SFSRedevelopment. Photos by Haute Photography and Videography. 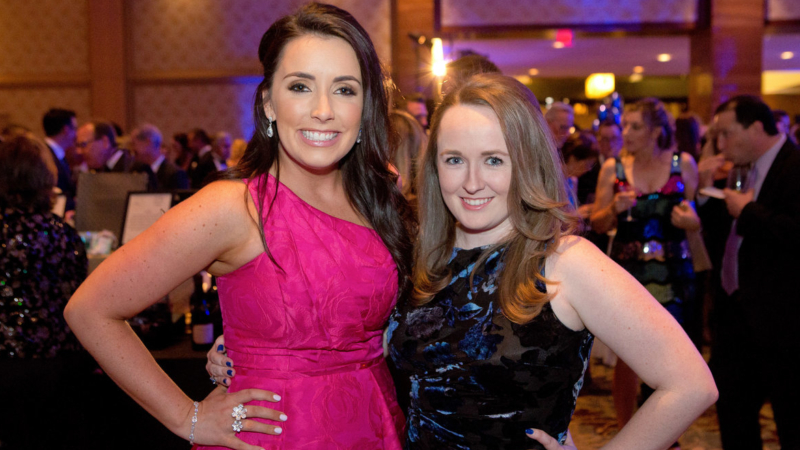 ALS Bite Nite on Saturday, June 3, raised a record $250,000 and more than 750 guests attended! ALS Bite Nite is an opportunity to bring hope to people living with ALS, raise money for a cure and come together for something you care about. Photography by Ben Arnold and Brian Flora. North Scottsdale Lifestyle and Paradise Valley Lifestyle shared an evening of connecting with fellow partners and guests at the creative breakfast and bar, Hash Kitchen. Taste buds were treated to menu items like caprese skewers, carnitas hash and the BYOBM bar as attendees enjoyed the upbeat atmosphere. 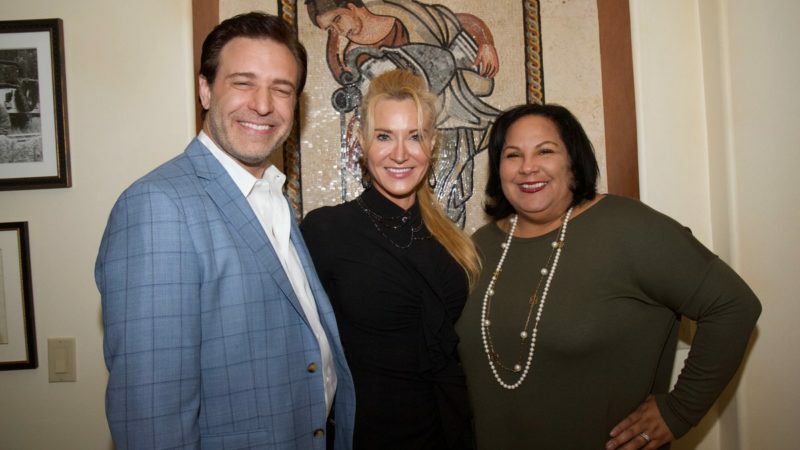 Richard J Stephenson, Cancer Treatment Centers of America and Gateway for Cancer Research founder and chairman, and Dr. Stacie J. Stephenson, CTCA chair, Functional Medicine and Gateway board of directors, hosted “Vino con Stelle” at The Silverleaf Club. The exclusive evening under the stars was inspired by Vincent van Gogh’s "Starry Night." For information on Gateway, visit GatewayCR.org. “Come Fly with Me,” notMYkid’s annual fundraiser, featured a reception, live and silent auctions and Vinum 55 hosted champagne lounge. The program included a tribute video to honorees, award presentation, concert by Sal Valentinetti from America’s Got Talent, dancing, photo booth and Microsoft virtual reality flight simulator. 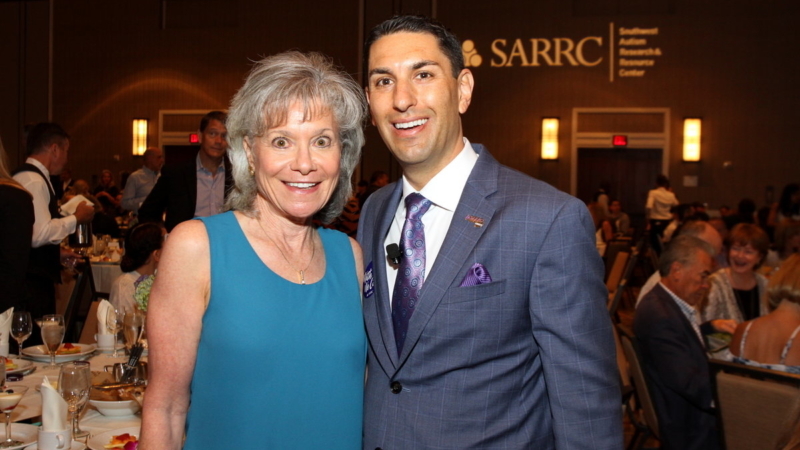 Southwest Autism Research & Resource Center (SARRC) hosted nearly 1,800 guests at the Arizona Biltmore and were joined by individuals with autism and their families, business, community and elected leaders. Revolution: Redefining the Status Quo was the theme of the breakfast co-chaired by longtime supporters Kathy and Mike Bosco. Arizona Helping Hands held their second StandUp Society cocktail party at the beautiful home of Stan and Sharla Godbehere. Seventy-five attendees enjoyed an evening of food from Ruth’s Chris Steakhouse, entertainment and community. Arizona Helping Hands makes an impact on Arizona’s 17,000-plus children in foster care. 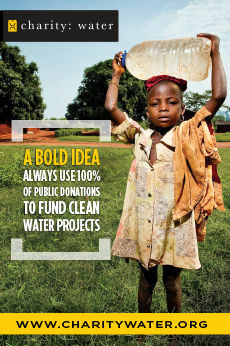 For information, visit AZHelpingHands.org. The HonorHealth Charity Golf Classic at Grayhawk Golf Club raised more than $125,000 to support the Military Partnership Program at HonorHealth which provides lifesaving training to military medical personnel and first responders. The 334 golfers who participated enjoyed a fun, scramble-format tournament on the Raptor and Talon courses. HonorHealth.com/GolfClassic. It was an inspiring morning indeed as over 350 guests gathered in support of the organization’s local and global health programs during this eye-opening event featuring a delectable meal, Hope Coffee Counter and touching speeches by Esperanca leaders. An afternoon of art, entertainment and community awaited at Vi at Silverstone as student artists from Notre Dame Prep displayed their artwork in the hallways, hoping to receive one of the prestigious awards for their creations. An evening of food, fun and conversation was graciously hosted by North Scottsdale’s Eddie Merlot’s restaurant. 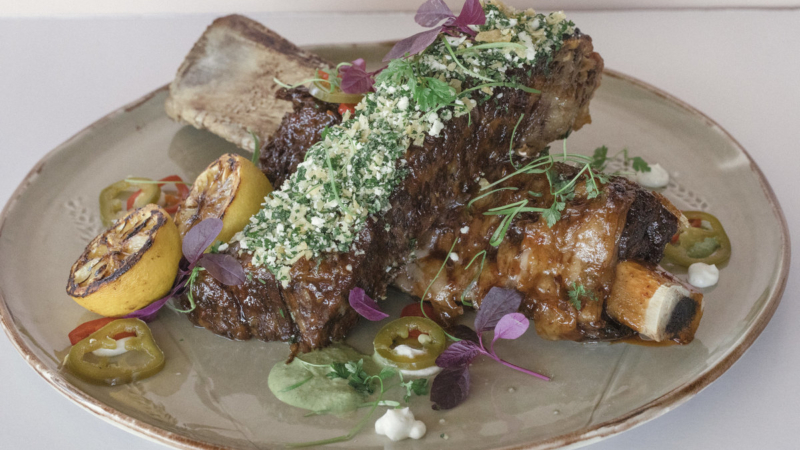 Lifestyle Publications' partners and guests got an opportunity to connect in a casual, but elegant atmosphere on the restaurant's patio. Stars and athletes from around the country gathered at the J.W. Marriott Desert Ridge Resort & Spa for this fabulous black-tie event honoring the life of Muhammad Ali. Celebrities in attendance included emcee Reba McEntire, Harrison Ford, Sharon Stone and many others.